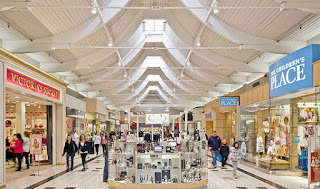 The article notes that the United States is home to approximately 1,100 malls. 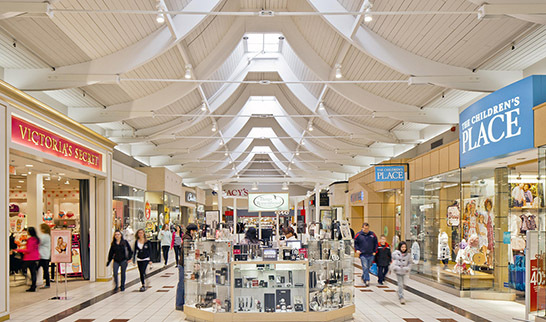 The structure that is the mall, as well as the large parking lots surrounding the building, consume a considerable amount of real estate. When those malls fail, they become extremely difficult to repurpose. They often end up being a blight on the neighborhood for years. It would appear that in searching for gimmicks to drive foot traffic to the retail stores, mall owners are fighting a losing battle. With the exception of certain consumer items, consumers prefer the convenience of shopping from the convenience of their homes. That is a niche that Amazon has cornered, although even that company faces growing competition when it comes to online retail. But as one looks to the future of retail, one wonders if even the Amazon model might be outdated. The Amazon approach right now is for wholesalers and manufacturers to ship goods to the company which it then stores in incredibly large "fulfillment centers." Then when a customer orders the item from the Amazon website, it gets shipped once again, this time to the customer. Amazon became popular because it enhanced customer convenience by eliminating the need to visit a brick and mortar store to shop. But the Amazon retail approach, which requires considerable overhead, doesn't provide much in the way of cost savings to the consumer. Eventually Amazon may be replaced with a web-based shopping approach that links customers with wholesalers and manufacturers so that items may be purchased directly, saving consumers a substantial amount of money while cutting out brick-and-mortar online retailers such as Amazon. Direct-to-consumer is blocked on large items like cars and important items like booze courtesy of our freedom loving state legislatures. I believe you are very insightful, Mr. Ogden, about the current Amazon model already potentially being passe whereby direct ships from manufacturers to end users could well be the next big thing. Anyone with a mind only functioning at half-speed understands the day of the big mall passed long ago. That the billionaire Simon family was allowed to walk away from its aging, dilapated, increasingly vacant Washington Square with the effective outcome of saddling the City and Her taxpayers with an ugly architectural and financially losing behemoth is a crime against the east side, the City of Indianapolis, and human decency in general. Anyone with a mind only functioning at half-speed also understands Castleton is the new Lafayette Square and I can only surmise from the lessons of history that Castleton Square Mall will one day in the not too distant future look exactly like the monstrosity beached near W. 38th Street and Lafayette Road. Off topic but in need of help - How do the parents stop the harrassment by the Indiana Dept Revenue from sending mail to the deceased person and the filing of a tax warrant? INDR was notified in the past that the person is deceased and that there was no estate. The person has been dead for over five years. Any assistance would be appreciated as would be referral to an attorney willing to file a harrassment suit. Amazon spent twenty years developing an amazing business model -- they have the unique ability to deliver goods to your door cheaper than anyone, or at least that's the way things appear to be. The concept of wholesale to consumer is uncompetitive to Amazon, imho. A wholesaler cannot deliver goods to my door same day for anywhere near the pricing that Amazon can. That's an economy of scale no one anywhere has the ability to deliver besides Amazon. The breadth and depth of product lines for same day shipping is incredible. "Off topic but in need of help - How do the parents stop the harrassment by the Indiana Dept Revenue from sending mail to the deceased person and the filing of a tax warrant? INDR was notified in the past that the person is deceased and that there was no estate. The person has been dead for over five years. Any assistance would be appreciated as would be referral to an attorney willing to file a harrassment suit." That sounds pretty simple. Just write, "no longer lives here" on the envelope and put it in your mailbox. Anon 11:31, I might be interested in writing about that. I had a similar situation in which a deceased former client of mine was continually hit up by the IRS to file taxes for years when he was dead. I wrote them the IRS a letter and told them my client was still dead and didn't earn any income for that year. Anon 11:30, I'm not sure you're aware of how much equipment and labor is used to fill even a single order from Amazon. Maybe 20 people will be involved in getting that product to a customer. Incredibly capital and labor intensive process. That keeps products from being sold much cheaper. I'm not saying that direct-to-consumer doesn't have logical hurdles. A lot of companies will have to have a third party assist them in setting up that operation. But direct-to-consumer allows for dramatically cheaper consumer products, something Amazon has not done. Amazon is great on getting things to consumers, not great on offering lower retail prices. Wholesalers shipping things to Amazon, Amazon receiving, stowing, picking, packing and shipping it to consumers from huge "fulfillment centers is not cost effective. Amazon has never made money on its fulfillment center operations.